A new version has been uploaded to AMO. It’s still in the “sandbox” and you need to register to download it, so I’ve uploaded it here (Right-click, Save Link As…) as well for those that don’t want to register. This release offers the much wanted compatibility with the Colorful Tabs extension, among other things. To enable it, open AnyColor’s options, go to the “Advanced” tab, selected “Theme tweaks” and double-click on “Compatibility: Colorful Tabs”. Some Vista CSS fixes; I got my hands on a Vista PC and fixed some CSS issues that I had missed, like some menus and the “Library” window. Compatibility with Colorful Tabs and All-in-One Sidebar. These have to be enabled explicitly by going to Options->Advanced->Theme tweaks. Compact main window: Reduces the padding and borders on the main menu and toolbar. 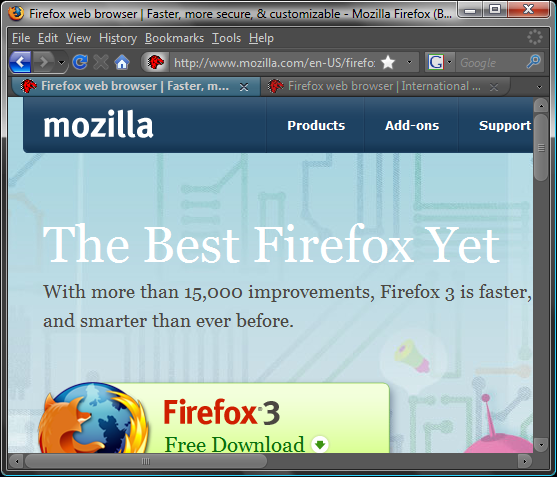 It’s meant to be used by people who like their Firefox as compact as possible, with small icons and no bookmarks toolbar. Hide main menu: This will hide the main menu. Take care if you enable this, you may not be able to disable it without the main menu. If this happens, open the page “about:config” and type “extensions.anycolor.activeCssFragments” in the “Filter” box. Right click the configuration entry and click “Reset”. Custom buttons in web pages: This will make all standard buttons in regular web pages appear like AnyColor’s rounded buttons. Invert Url-bar & search-bar colors: Makes the url bar and search bar stand out by inverting the background and foreground colors. Square buttons & Square scroll bars: Removes the rounded corners from the buttons and scroll bars. Note that you need to refresh a page before you see the changes in the scroll bars. Google web search: This is mostly a “proof-of-concept” tweak, demonstrating how AnyColor can be used to change colors & styles in web pages. This one will make Google’s main page and search results use the currently selected AnyColor preset. Several minor compatibility fixes for other extensions. 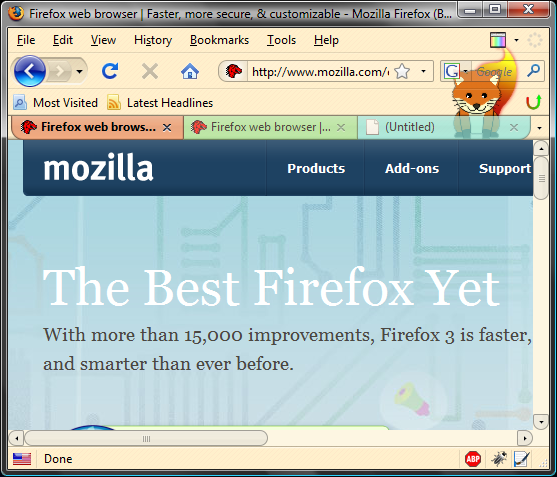 Added a menu item in Firefox’s tools menu for easier access with the keyboard. Enable cookies AND third-party cookies (Tools->Options-Privacy). When logging in to AMO, make sure you check the “remember me” checkbox.